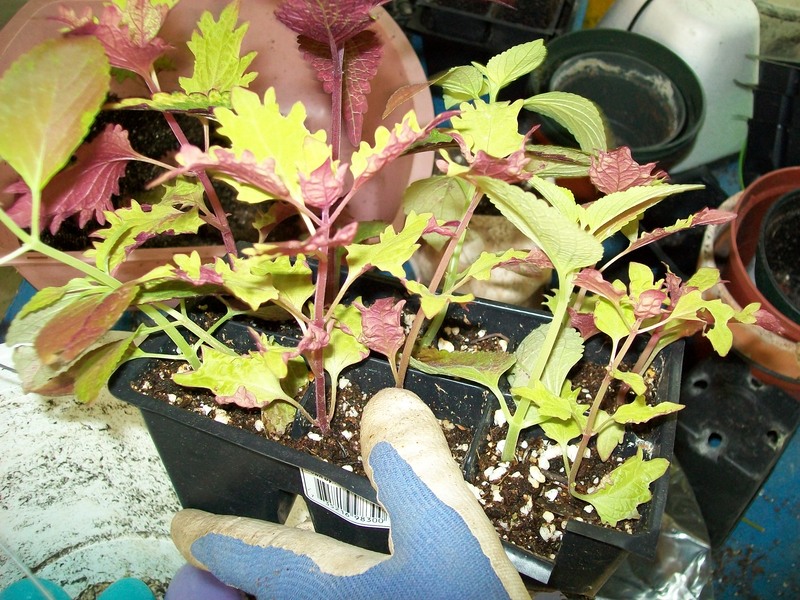 Making new plants from cuttings was a subject of a previous post. Containers can become very heavy if they are 100% soil filled. How to avoid backstrain from the usual garden chores? 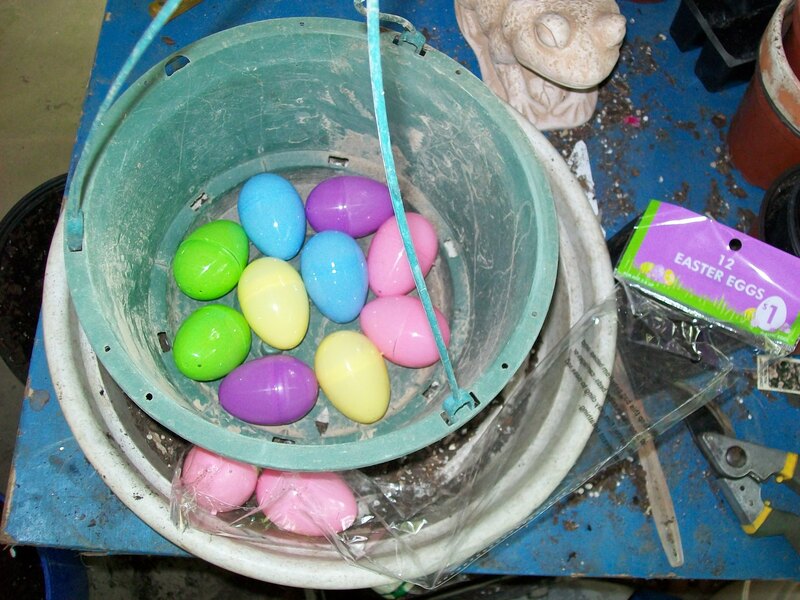 Follow the Easter Bunny’s trail and use plastic eggs as pot liners. Now is the time to get them cheap, marked down 50-75%. They are reusable and store easily. The two-piece plastic eggs also are favorite toys of the scrounge cats. Yeah, I know my potting bench is a mess. 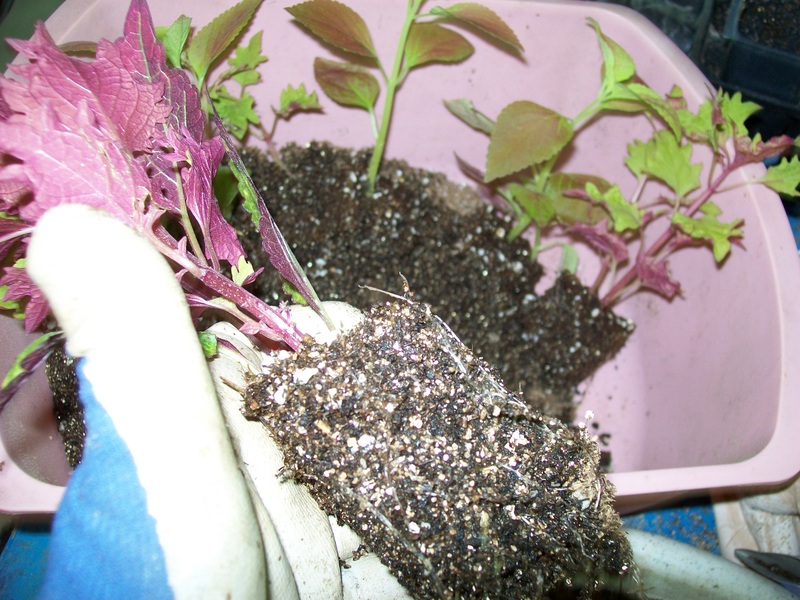 The coleus have rooted and so are ready for a container. 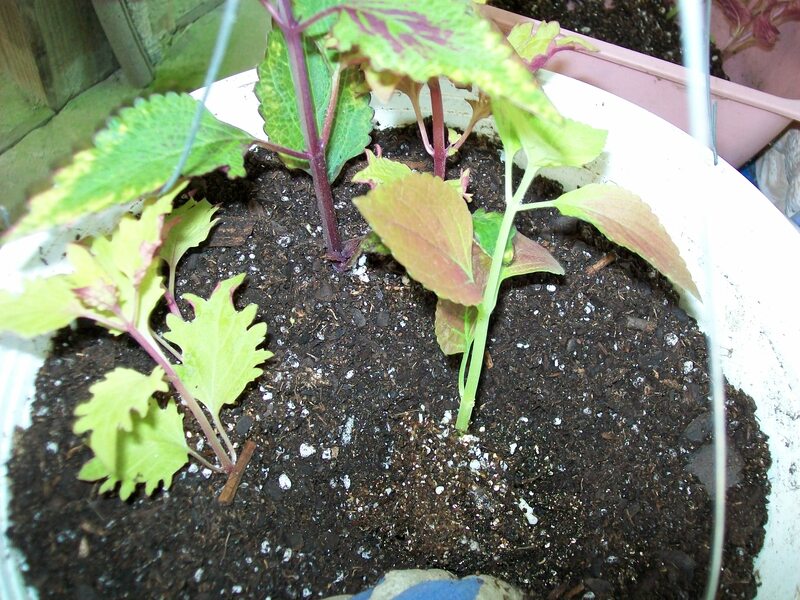 The coleus will fill the bare spots within a month. 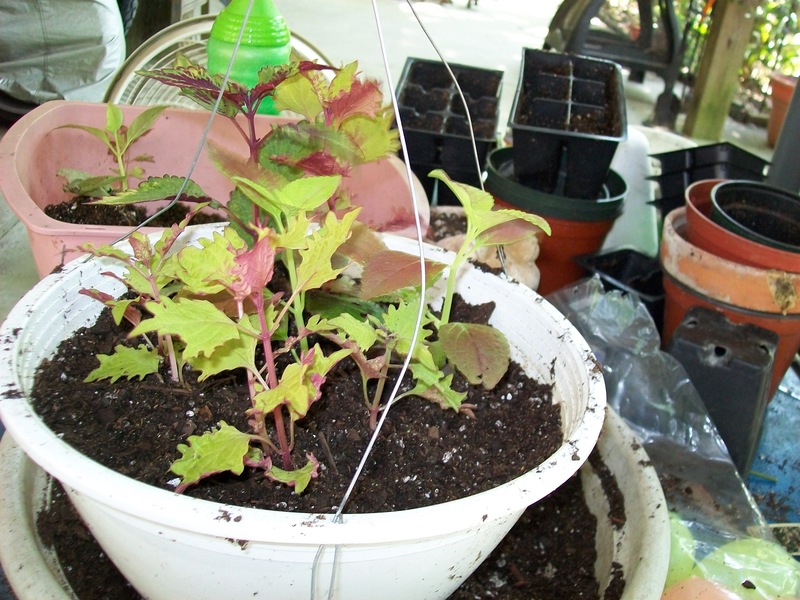 Lightweight, well drained containers with do it yourself plants. Got the egg packages at $0.13, marked down from $1.20. Perfect scrounge!